It’s funny that Ciara’s fifth studio album is self-titled, because it shows her more willlingly diverse and open to experiment than ever. It’s been a long time coming. When we met ATL’s finest in London earlier this year, she told us of her love of “taking risks, jumping out and doing something that’s different.” She released the effortless slowjam “Body Party” a few weeks later, proving that she didn’t need to be going ham 24/7 to turn heads - and turned the album campaign around. Ciara delivers on the promise of “Body Party”. The featherlight “Read My Lips” is a sprightly jam that’s strictly about physical communication, while “Sophmore” menacingly grinds with its backroom strut. Dazed’s highlight, though, is the full-throttle “Super Turnt Up”, which Ci Ci co-produced. This song is billed as “(feat. 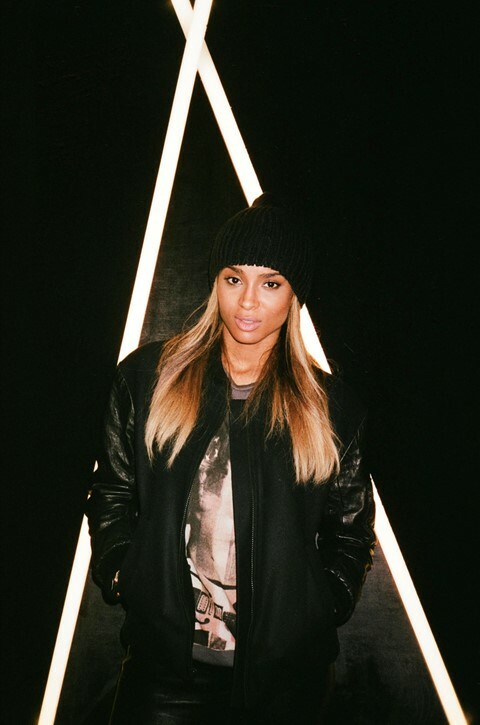 Ciara)” in a nod to the rap verse that she herself delivers in the middle-8. It speaks volumes about the multi-faceted artist she's become. Album is out 8th July in the UK on RCA. Pre-order it here.